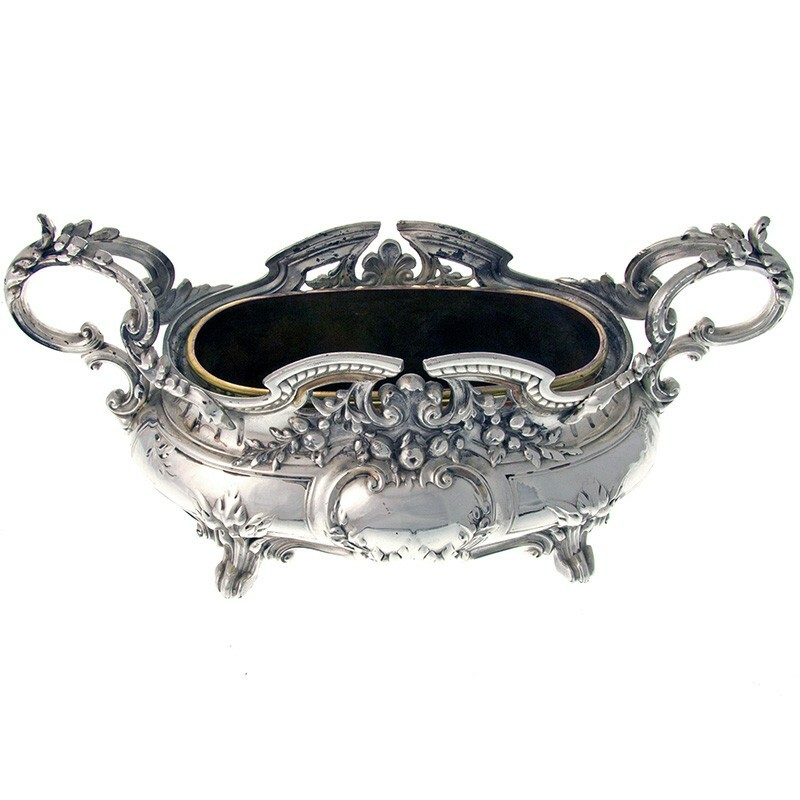 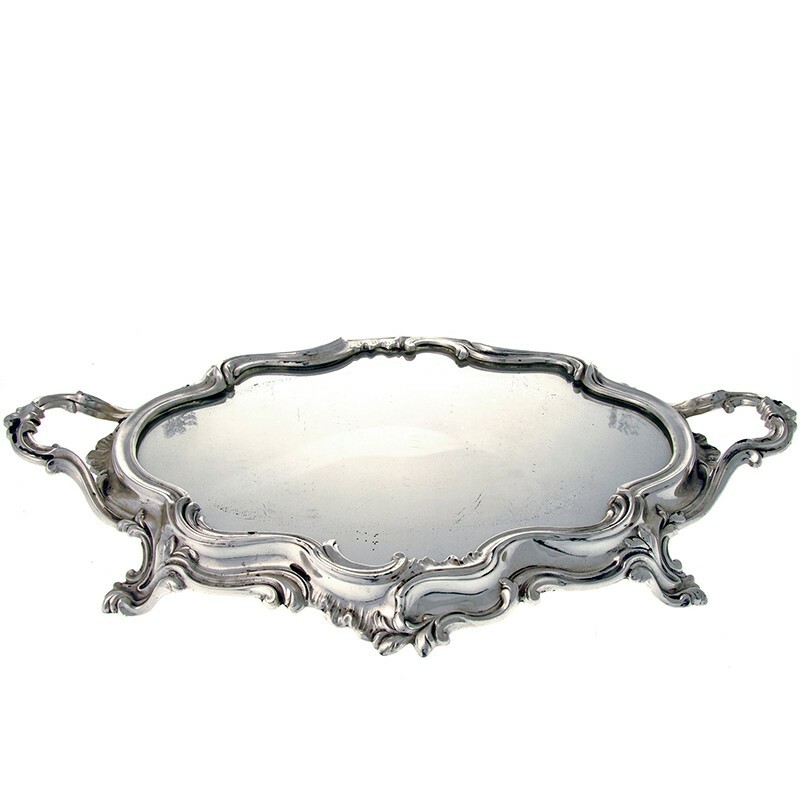 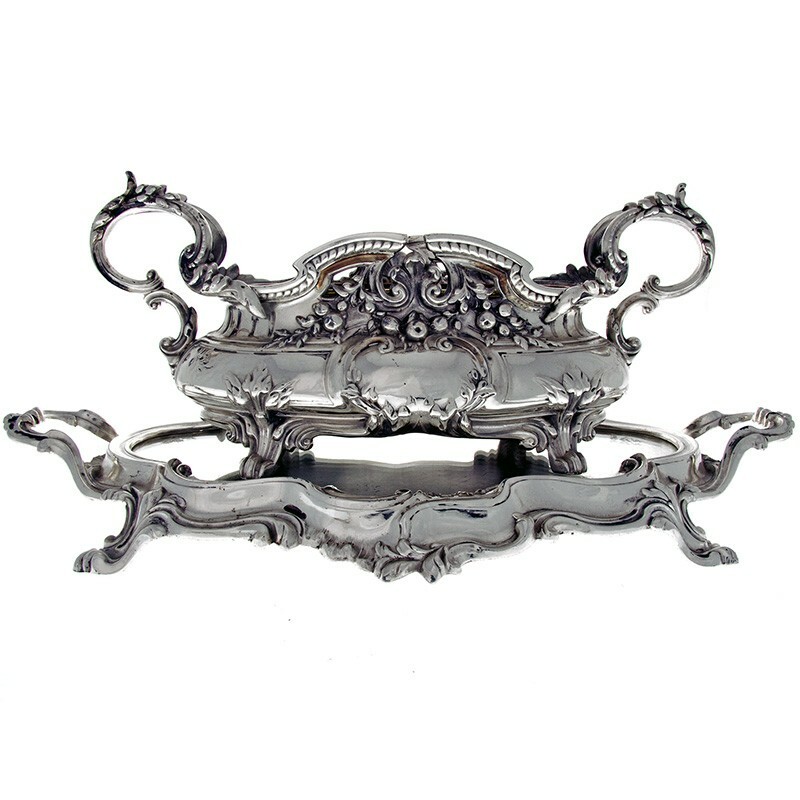 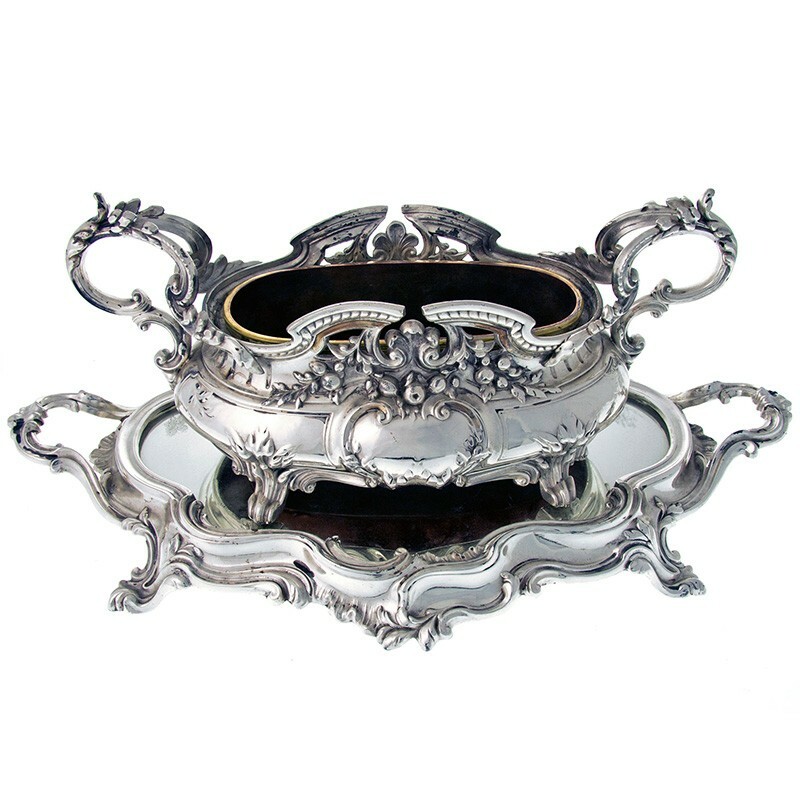 A very ornate antique French silver plated jardiniere with an oval copper liner. 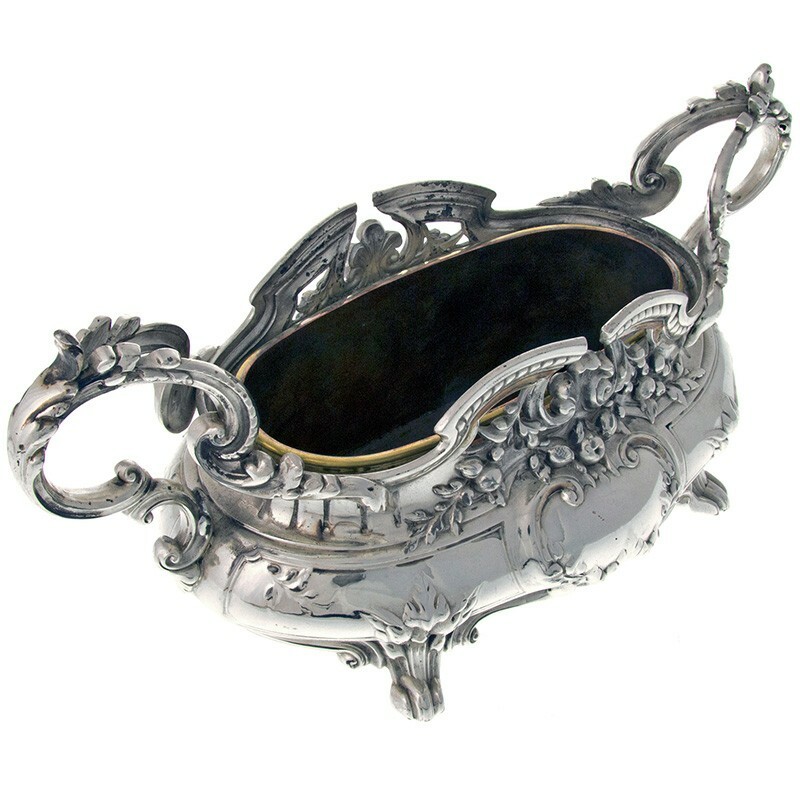 The jardiniere has floral looped handles and fruit and garland decoration. 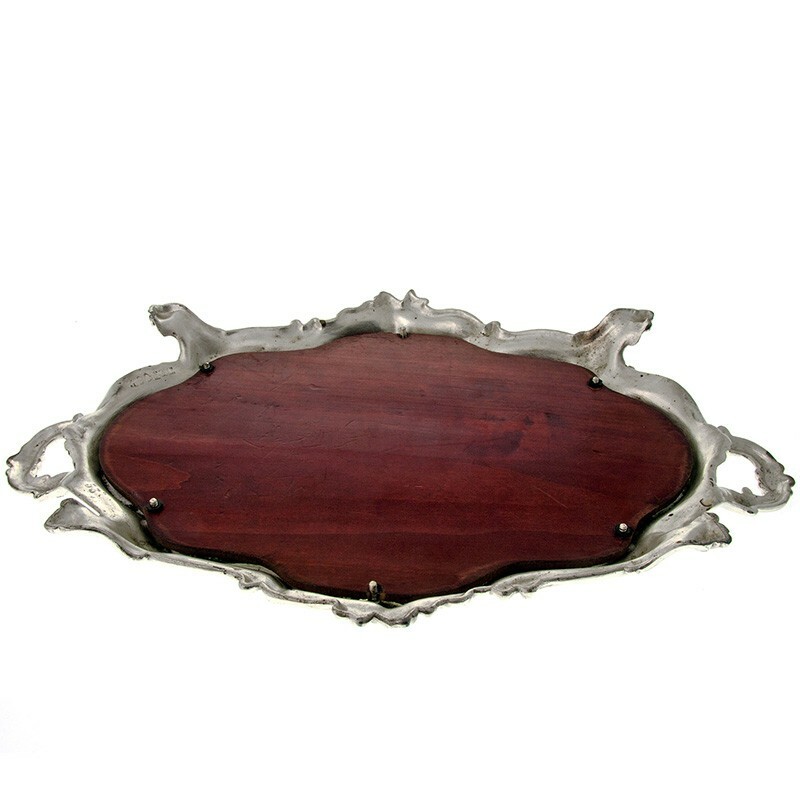 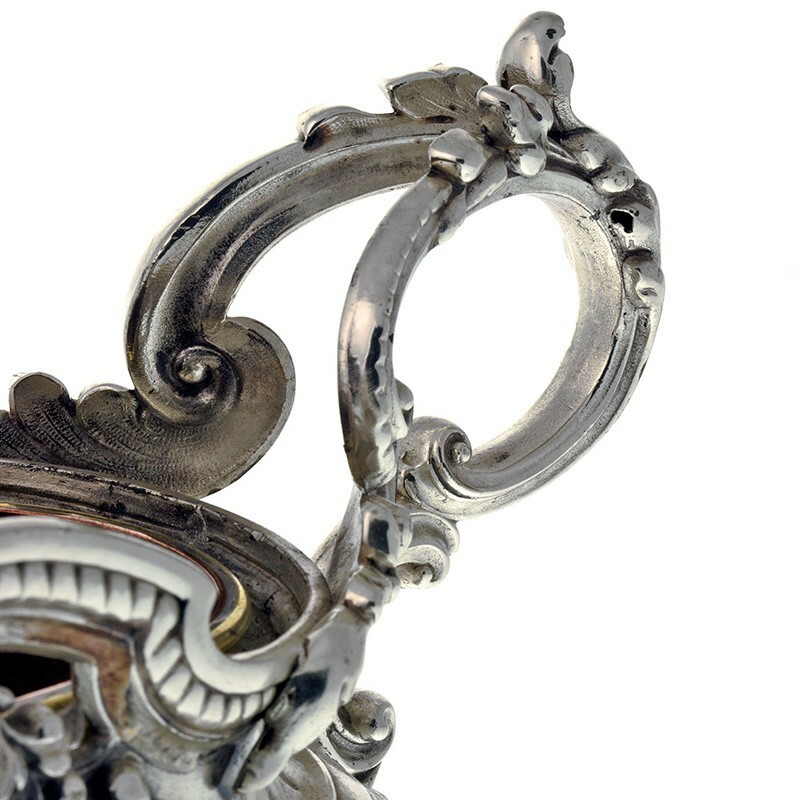 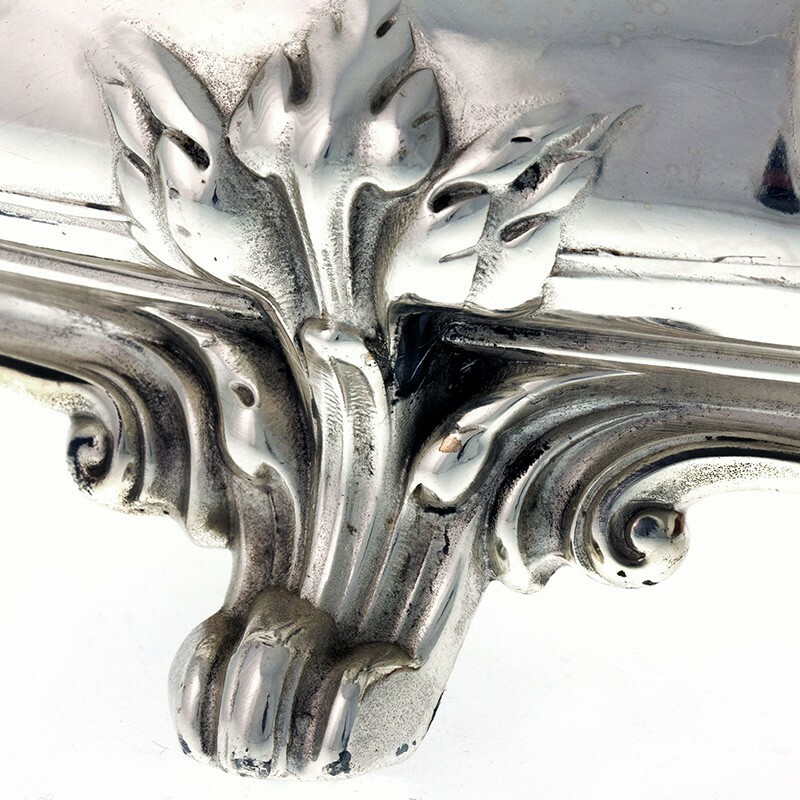 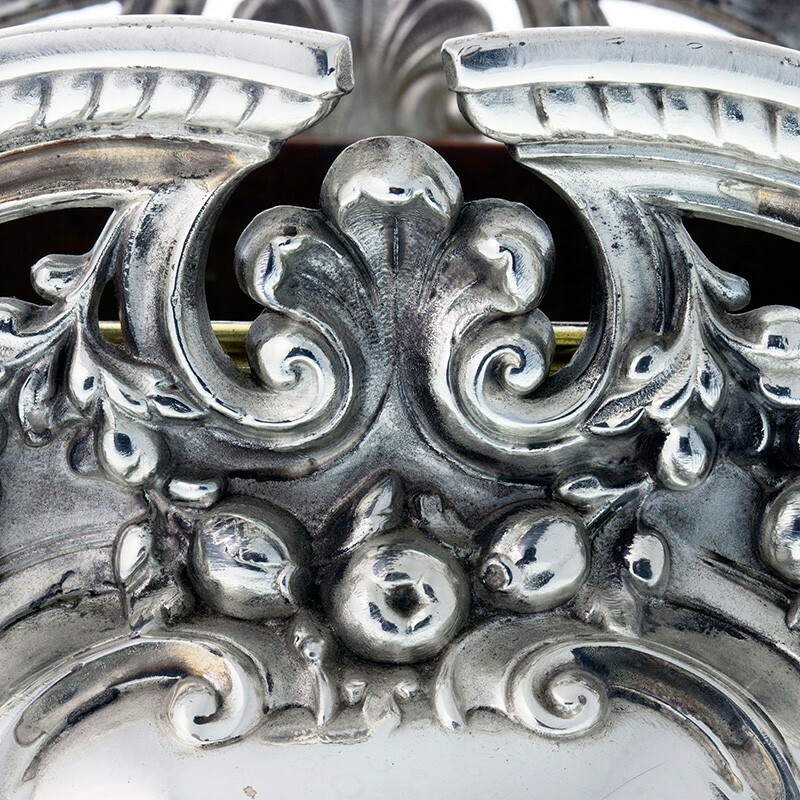 The jardiniere stands on an oval scroll ornate base which still has its original condition mirror.